The following indications	are listed in the European Society of Hypertension recommendations for ambulatory blood pressure measurement, 2003. Though the blood pressure measurement algorithm used in the monitors has been found to function properly on patients with atrial fibrillation or other common arrhytmias, the oscillometric blood pressure measurement method is generally recommended for use only with special caution in patiens with arrhytmias, parkinson’s disease or other diseases with tremor. 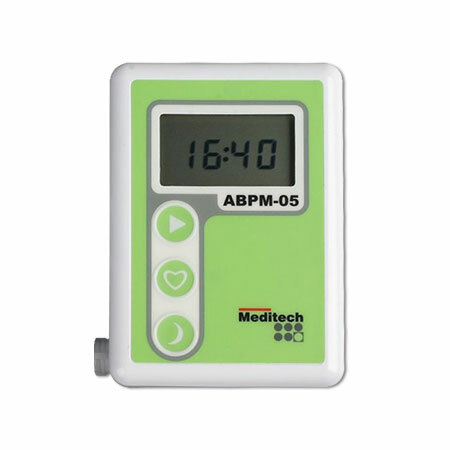 ABPM-05 and its Bluetooth-capable version, BlueBP-05 is a programmable, oscilloemtric ambulatory blood pressure monitor, which is typically worn by the patient for 24 hours. 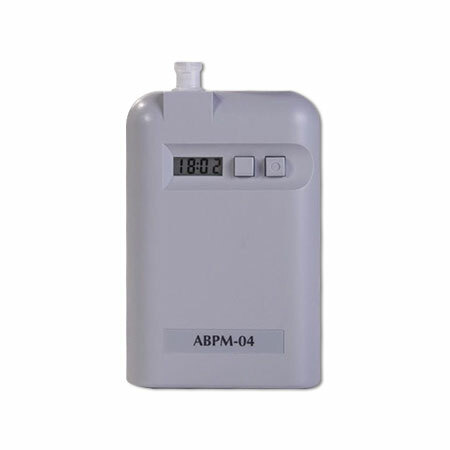 ABPM-05 and BlueBP-05 are compact, lightweight devices, which operate with 2 AA size accumulators or batteries. More than 600 measurements can be stored in the device memory. Stepwise pressure deflation ensures quality measurements, even if disturbing environmental factors occur. The battery compartment and the rating label are on the backside of the housing. The serial number can be found on the rating label and it is also stored electronically in the solid state memory of the device. On the front side of the housing, there is the LCD, the buttons of the device and a sticker displaying the name of the device. The ABPM-05 device can be connected to the serial or USB port of a Windows compatible PC with an optoelectronic interface. The socket is positioned on the opposite side from the cuff connector. BlueBP-05 can be connected to a Windows based PC with a Bluetooth adapter. Patients can start extra blood pressure readings or mark events. 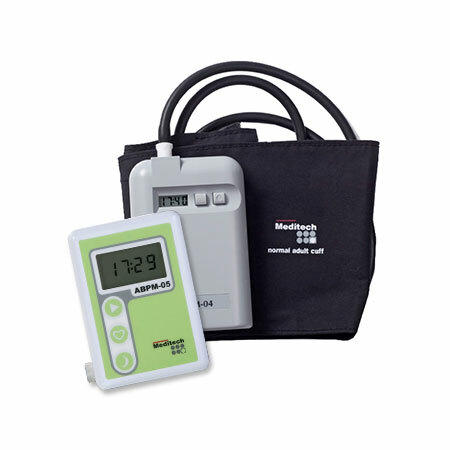 ABPM-04 is a silent, PC-based ambulatory blood pressure monitor, which can be programmed for even 51 hours. The operation is ensured by 4 AA rechargeable batteries. 300 measurements can be made by a battery set, while the device itself can store 600 measurements. The patient can start extra measurement, indicate events or set special day/night indication by pressing a device button. ABPM-04 operates with Meditech normal, small and large cuffs. The state of the batteries can be checked by the voltage display function. The device can be connected to any standard PC with its optical interface cable.